We’ve had a busy year, creating our Publishing Toolkit, consulting, conducting webinars, and helping burgeoning authors realize their publishing dreams. We’ve seen a good number of our workshop or lecture attendees nab book deals. Now, you can take advantage for our first in-person seminar of 2013! Back by popular demand, we are offering our popular 30 Days to a Winning Book Proposal course. This time, instead of a four-week course, we are offering a full-day workshop on Saturday, February 9. We created this intensive program to illuminate each step of the book proposal process, breaking it down into an easy-to-follow 30-day plan. We will cover every aspect of the development process, detail how to write various components, and provide “homework” so you can move your proposal forward efficiently on your own. You’ll leave with a plan for an on-point proposal, ready to send to publishers or agents. Let 2013 be the year that you get published! 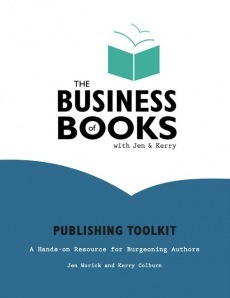 Included in this results-oriented workshop is the Publishing Toolkit: A Hands-on Resource for Burgeoning Authors. This binder is filled with all the notes and materials to develop your successful proposal from start to finish—including step-by-step advice, helpful exercises and worksheets, key information on creating a targeted submission list, and real sample proposals that have sold to publishers. Part 1: Research & Refine Your Idea. 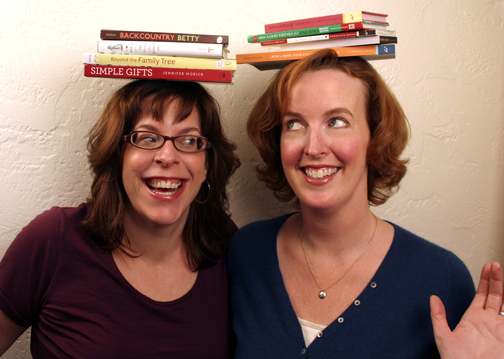 Develop a winning book idea that will rise out of the slush pile. You’ll first focus on finding and honing a viable nonfiction or fiction idea. You’ll learn how to research the marketplace and competition, brainstorm formats, and develop a publisher and agent wish list. Part 2: Sell Your Book—and Yourself. Next, create a killer author platform and marketing plan that will demand attention. Uncover the many strengths and attributes that you can bring to the table as an author, participating in social media and other venues to build your platform, and brainstorming a robust and creative marketing plan for your title.
. Focus your proposal with a great title and introduction, and reel in editors and agents with compelling text. This part of the day will help you to pique interest with a strong opening pitch, and to knock it out of the park with a complete, detailed outline and on-point sample text. Part 4: Submit Your Proposal. Lastly, create a savvy final package and target the right publisher. Learn how to draft an arresting query letter, develop your submission list for agents or publishers, discover the pros and cons of self-publishing, get a basic grasp of advances and royalties, and put the final touches on your proposal submission.